About two years ago, I donated all my old socks and bought 24 pairs of identical black Adidas socks. Yep, it sounds crazy, but for whatever reason, I am compelled to wear matching socks, and with the random pairs and stragglers that you accumulate over time, matching two socks becomes a major challenge. So I simplified, and life became very easy. All my socks were the same. I just had to grab any two and I was good to go! On the whole, it’s been a huge success. I would recommend the identi-socks approach to any mildly compulsive person. However, there have been two problems. 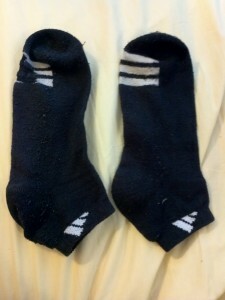 The first: I mistakenly meted out the socks a few at a time, instead of releasing all 24 pairs into the wild. As a result, some pairs wore down faster than others. And because I am insane, I now try to “match” socks of equal wear. I mean, seriously, could you really wear these two socks together? Like, oh em gee, ew, gross! So now I have to play the matching game all over again, though I have to admit it’s a much simpler problem than before. 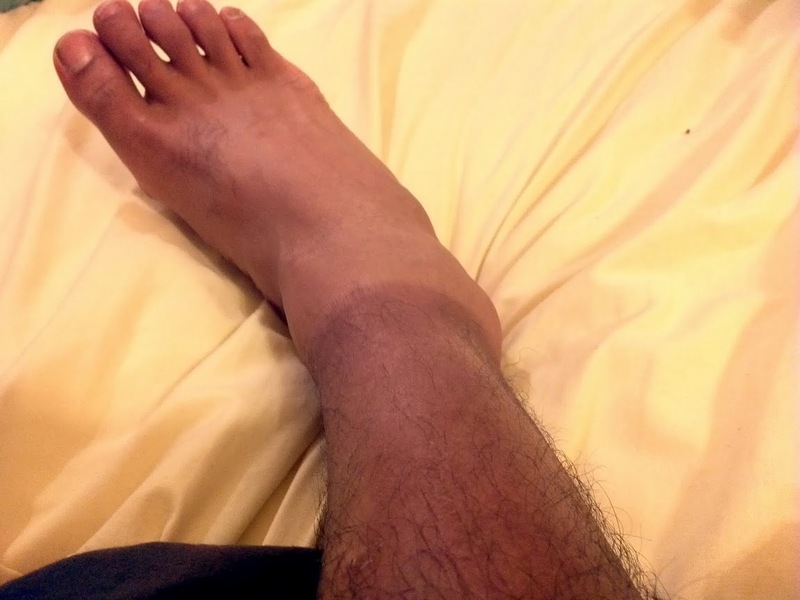 Yes, the world’s most heinous sock tan. My little nephew actually thought I was wearing socks when I was barefoot. I sock you not. Dude, throw away the one of the left! Shrinking the range of acceptable wear will simplify your life if you insist on matching. Also, you have a nephew? !